Family medicine is creating and maintaining relationships with patients in order to enhance their lives. That is the definition I gave to the University of Iowa’s family medicine residents at their Resident Retreat on Saturday. During my talk with this group of young physicians, I described my family medicine team and how we help our patients to maintain their health, recover and become healthy from an illness or improve their quality of life if diagnosed with chronic illness or a terminal disease. My team includes a head nurse, two health coaches who share a full-time position, a “roomer” nurse who seats patients in examination rooms and charts their vitals signs, and a “shot” nurse. Together, we are responsible for the family medicine needs of 2,100 patients. 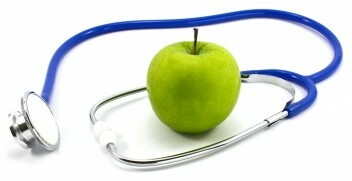 I have described the use and value of health coaches in a previous entry. In 2014, of my 452 Medicare patients, 361 had annual exams. Until the a few years ago, Medicare did not pay for an annual exam. Of those 400 plus Medicare patients, I now have 321 in a Medicare Accountable Care Organization (ACO) program. These patients are a subgroup of my clinic’s (McFarland Clinic) set of patients who are finally part of the University of Iowa Alliance Medicare ACO. This program started January 1, 2016. Part of the program includes a list of all my patients’ disease severity. This severity is based on diagnoses sent to Medicare on claim forms in 2015. This information can be analyzed in several ways. For example, in 2015, of my sickest 23 patients, nine have died, which is understandable as they would have had significant diagnoses in the days, weeks and months leading up to their deaths. The key is that the other 14, as well as the next 30 patients on the severity list, can be watched more closely in order to improve their lives. Similarly, with my Blue Cross-Blue Shield Wellmark ACO patients, of which there are 617, McFarland Clinic is using data to improve their lives. As I have written before, it is this care coordination, using the combination of a family medicine health care team and the data supplied by ACOs, that is our country’s best way to improve patient health and save health care expenditures. Unfortunately, I do not see similar positive developments with Medicaid in Iowa. We have discussed the “Modernization” project, set for implementation on March 1, which will distribute 540,000 Medicaid patients among three for-profit managed care organizations (MCOs). Originally slated to start January 1, it was delayed by the Center for Medicaid and Medicare Services (CMS) due to serious concerns about the state’s somewhat chaotic planning and insufficient communications with Medicaid patients. As the March start date nears, I continue to have serious concerns. First and foremost, I currently see no effort by any of the three MCOs to implement care coordination. In a world of contradictions, I find this lack of care coordination for Medicaid patients completely unacceptable. I am also struck by the fact that for years, the mantra of the Republicans has been that Obamacare was wrong because it requires government to step between the patient and his or her physician. My second concern is that the only way the MCOs will make a profit is by putting up obstacles when physicians order tests, procedures, and medicines when they care for these more than half a million Iowa Medicaid patients. The MCO’s track records more than confirm my concern. Worse by far is the financial incentive that the MCOs will profit if they are successful at preventing physicians from providing necessary health care and needed medical services to their patients. Where is a Patient’s Bill of Rights that existed in the years of health maintenance organizations (HMOs)? Is there no Patient’s Bill of Rights now because these patients are poor and the previous HMO patients were middle class? Certainly a question to ponder. In another contradiction of views, the law and order Republicans created an Iowa Medicaid MCO program with no ombudsmen for non-long term Medicaid patients. There are two long-term Medicaid ombudsmen for Medicaid patients residing in nursing homes. The CMS also cited this omission of Medicaid ombudsmen in their ruling for the implementation delay of Medicaid Modernization. How can any wrongdoing by MCOs be acknowledged, investigated and resolved if there are no ombudsmen? I have yet to see an announced solution for this lack of an adequate number of ombudsmen. Recently, I had a patient who had moved from Mississippi to Iowa. She was in a dual-eligible Medicare-Medicaid ACO program. She was hospitalized and needed skilled nursing care following her hospitalization. Since the Mississippi Medicaid MCO had no contracts with skilled care units in Iowa, that patient had to go home and not receive the skilled nursing care she required until she could transfer to Iowa Medicaid. The Iowa presidential caucuses are tonight. I was chagrined when hearing Senator Marco Rubio speak recently. He rejoiced at having limited much needed bailout funds for insurance companies writing policies under Obamacare. This dubious achievement was his evidence of having fought Obamacare. I am sure the limitation of bailout funds was fully supported by the insurance companies that were not selling health insurance through the Exchanges. It was one of many factors that led to the demise of CoOportunity Health, the Iowa-Nebraska health insurance co-op. One hundred-twenty thousand CoOportunity policy holders and many others including me, mourn that loss. Thanks, Senator Rubio and all the other Republicans who fought so hard and so often against Obamacare. We in the trenches are working hard to enhance the health of our patients. The question today and for the rest of this presidential election year is this: Are the candidates we support committed to working to enhance the health and health care of our patients—our American citizens?